LED stands for Light Emitting Diode and is essentially a chemical chip embedded in a plastic capsule that produces light when voltage is applied. Unlike incandescent bulbs, they don't have a filament to burn out and they don't put out a lot of heat. LED lights come in a variety of colors and each color is due to the produced light being a specific wavelength. Different color lights penetrate skin to different depths, with longer wavelengths penetrating deeper. If you ever held a red light against your hand you probably remember that you could see the light penetrate to the other side. Red light can penetrate the skin up to 10 mm. Near infrared light can penetrate up to 40 mm. Blue LED light (wavelength 400-490 nanometers) targets the bacteria responsible for acne on its own, and when combined with the inflammation-reducing red light, is even more effective for calming a breakout. 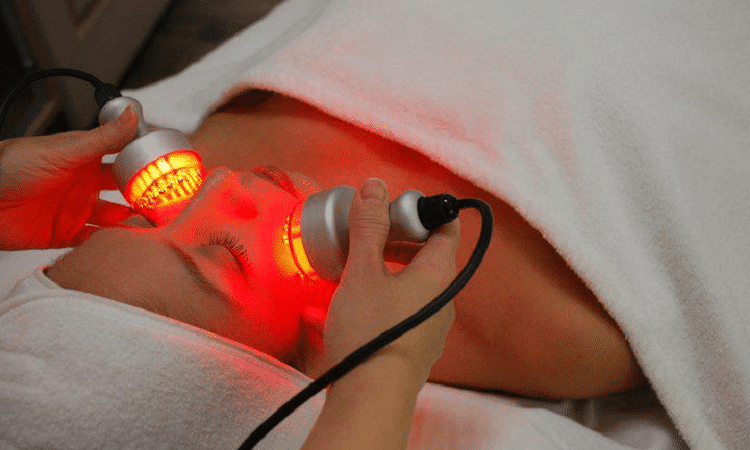 Visible red LED light (wavelength range of 610 – 700 nanometers) has been shown to stimulate the production of collagen (plumps), elastin (for elasticity), and it improves the circulation, leading to smoother, tighter skin. Barely visible near infrared light (wavelength 700 - 2500 nanometers) penetrates even deeper than red and triggers wound healing, decreases inflammation, and can help relieve pain. LED light treatments for skin are painless, quick, and there's no downtime. They can be added on to any of our facials or other skincare treatments, or done alone. Isn't it time to see the light? Call 727.571.1923 for a complimentary skincare consultation with one of aestheticians and learn what the best skincare strategy is for you.